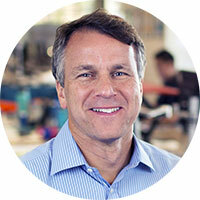 Glen Tullman is the Chairman and Chief Executive Officer of Livongo Health. Livongo is empowering people with chronic conditions, beginning with diabetes, to live better lives, using a combination of innovative technology paired with personalized and context sensitive information delivered when and where it is most impactful at improving health. Today, Livongo is the leading consumer digital health company focusing on chronic conditions. A visionary leader and entrepreneur, Tullman previously ran two public companies that changed the way healthcare is delivered. Most recently, he served as Chief Executive Officer of Allscripts (NASDAQ: MDRX), the leading provider of Electronic Health Records, Practice Management and Electronic Prescribing systems.